Considered to be the most beautiful island in the world by Jaques Cousteau, the island of Cocos in Costa Rica is a sight to behold. Located 350 miles off the Pacific coast of Costa Rica, lives a diversity of large pelagic species including sharks, rays, tunas, and dolphins. Sharks including hammerhead, Galápagos, silky, tiger, white tip reef and whale sharks are common sightings, making it a haven for scientists, divers, and marine enthusiasts alike. The iconic animals are known to migrate throughout the Eastern Tropical Pacific from the Galapagos to Columbia, Panama, and Costa Rica. Sharks are integral apex predators that shape the food web and maintain a healthy ecosystem for all marine life. Unfortunately, they continue to be hunted for their fins and exported to China in violation of international agreements, despite Cocos Island designation as a World Heritage Site. 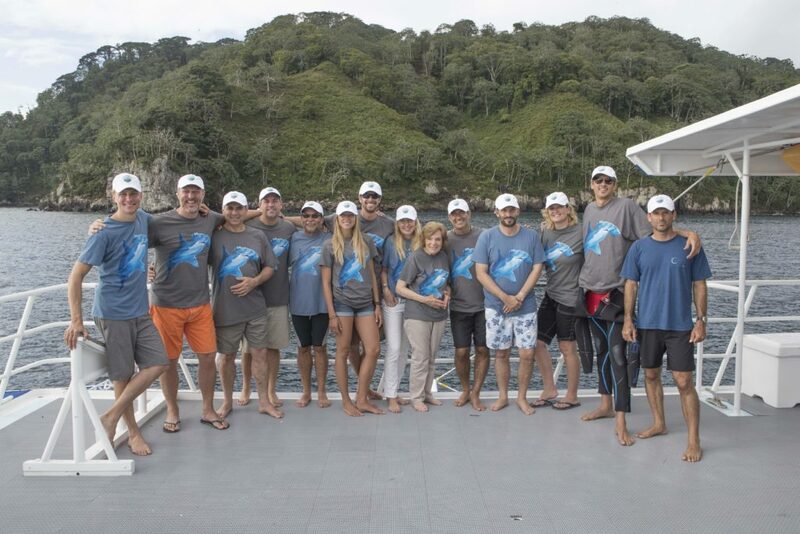 The Mission Blue team went to Cocos Islands for a special trip focusing on finding and tagging sharks including tiger, silky, Galápagos and whitetip reef sharks. 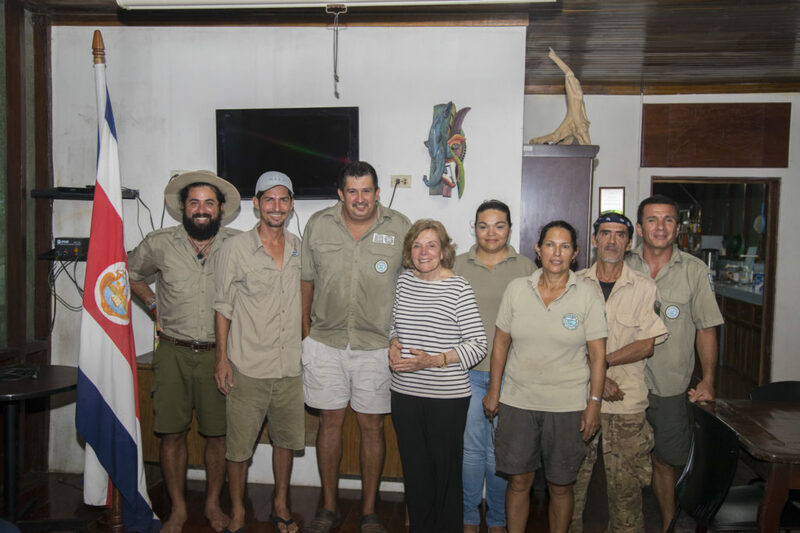 Led by Mission Blue founder, Dr. Sylvia Earle, Director of Expeditions, Kip Evans, and Dr. Alex Antoniou from Fins Attached, we worked closely with scientists to learn more about the movement and conservation status of these apex predators. Threats of overfishing, especially long lining, still pose a serious concern to sharks and other marine life. 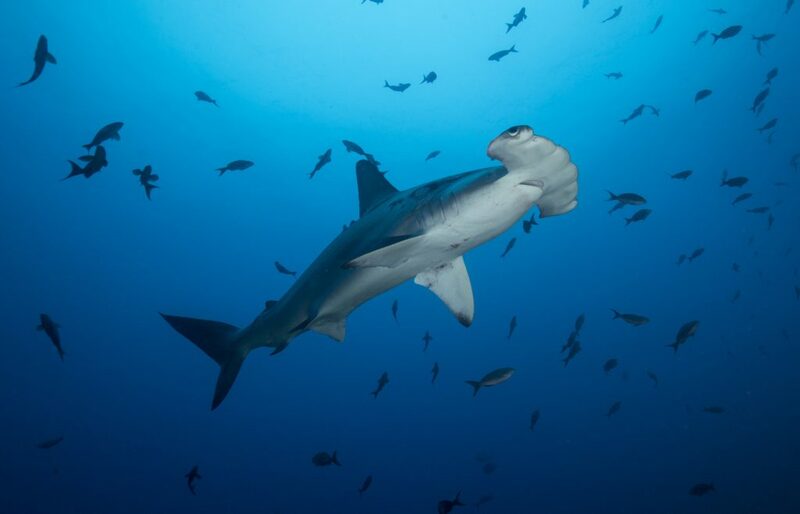 “As long as there is a market for shark fins the fisherman will circumvent the law to try to fish,” said Randall Arauz, a conservationist and ocean advocate at the Costa Rican Conservation Organization, PRETOMA . You don’t need to be a marine biologist to understand why Cocos Island is well worth protecting. While the schools of hammerhead sharks steal the show, the truth is that there are nearly 1,400 marine species identified around Cocos Island with a high degree of endemism. On a single dive, a lucky diver could see multiple species of sharks, mantas, yellowfin tuna, marlin, eels and a profusion of fishes. 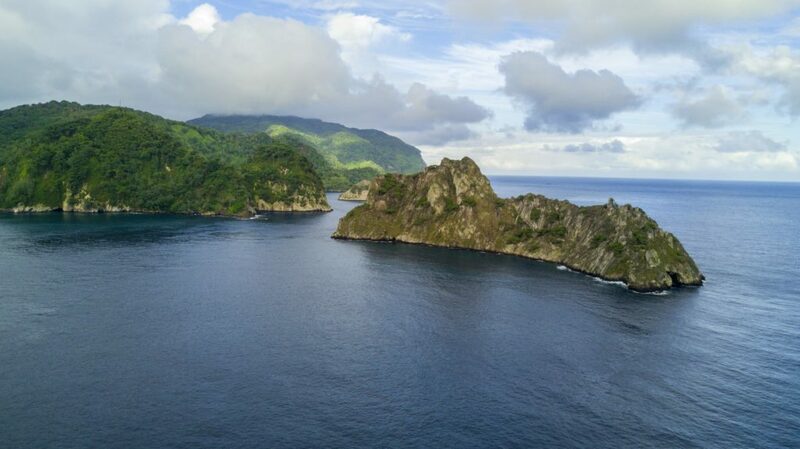 Good on the Costa Rican government, then, for having created Cocos Island National Park and thus prohibited the entrance of fishing boats within 12 nautical miles around the island.